Being a bit of a girl geek I'm a sucker for sleek design, cool ideas and shiny new tech. 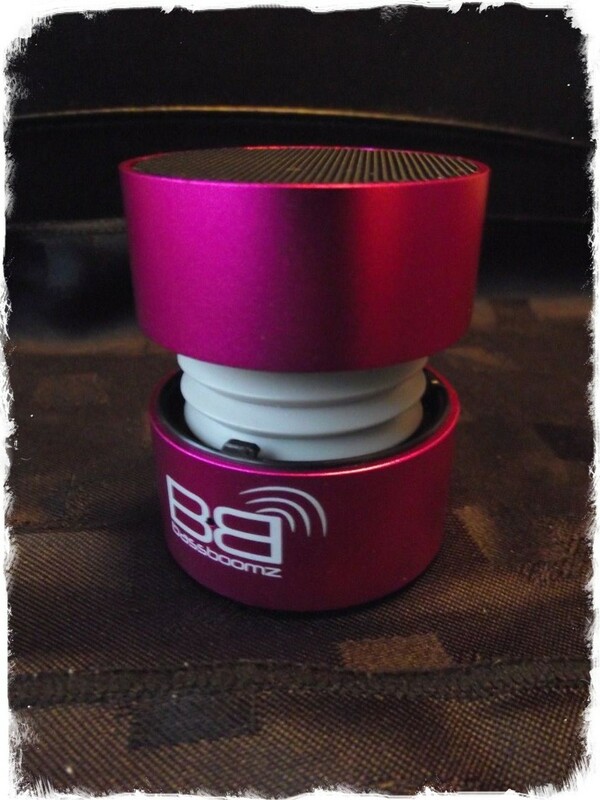 The all new Bassboomz Portable Bluetooth Speaker is all that...and then some!! Bassboomz is the cool new offshoot from the Bassbuds In ear Headphone range. Already with a huge cult following, Bassboomz comes from a quality tech background....but does it live up to its big brothers high standards? They say all good things come in small packages..well that's certainly true in this case. The Bassboomz speaker come in at just over 5cm high when closed, extending to well over 6.5cm when fully open. Its aesthetically pleasing on the eye, coming in a range of 8 eye popping, metallic finish colours. 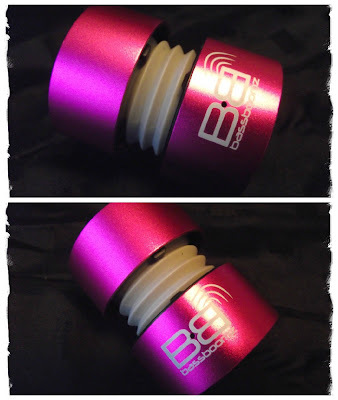 A sleek, minimal design the Bassboomz has a very cool bass expansion system and a simple twist and release lock function. 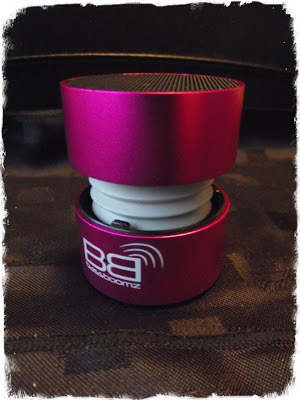 The speaker is a solid aluminium build which is surprisingly weighty considering its size. Its steadied by 3 high grip pads on the base to provide stability and vibration dampening when on hard surfaces. 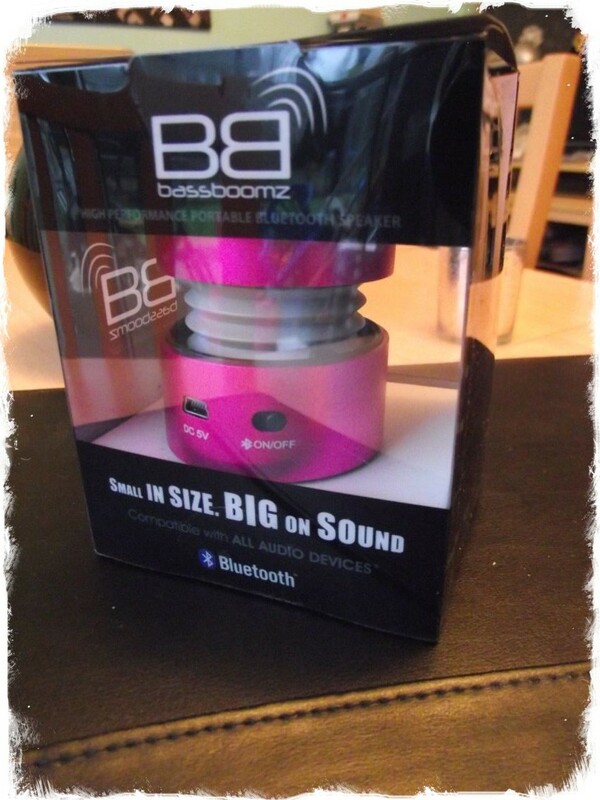 Bassboomz are compatible with any type of smartphone, MP3 player or laptop as well as any wireless device with bluetooth capability. It come with just 2 ports, one for USB charging and an AUX port with a 3.5 audio jack output (both cables included). Charging is simple, just hook it up to a USB port on your laptop/PC and a red light on the front of the speaker indicates that its charging. It should take about one and a half hours to fully charge, once the red light goes out...you know your done. 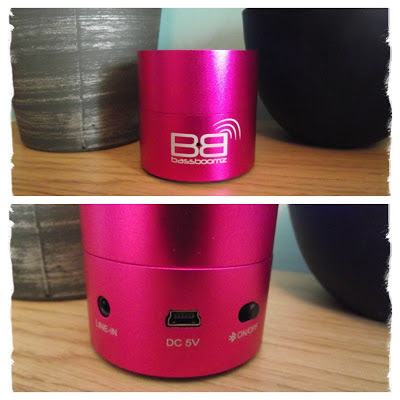 The battery is Li-ion rechargeable and gives you a good 5/6 hours of listening time at 70% volume. Playback can be via Bluetooth or via the AUX play mode using the cable provided. Play mode is also incredibly simple....for AUX just plug the other end of the audio cable into the line out/headphone jack of the device you wish to use. Ensure the speaker is set to expanded position and simply turn on. For bluetooth again turn the speaker on, it will beep to show its in bluetooth mode, pair your device (Choose Bassboomz once located) and input the pairing pin which is 0000. Its at this point you'll say 'wow' as the sheer clarity and bass that comes from this tiny little thing is impressive to say the least. I was really not expecting it to sound that clear...and the bass that comes from it is so crisp you can't fail to fall in love with it. There is sometimes slight distortion if the sound it at 100% ...so keep it about 70% to keep the sound at the top of its quality range. Want double the bass?? 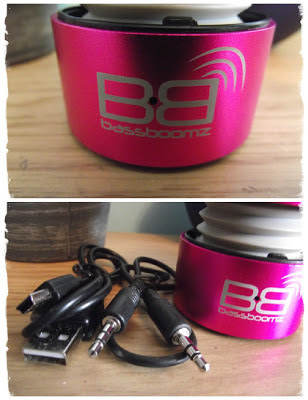 Not a problem.....Bassboomz come with a nifty little duel connectivity feature meaning you can connect 2 together for double the sound. 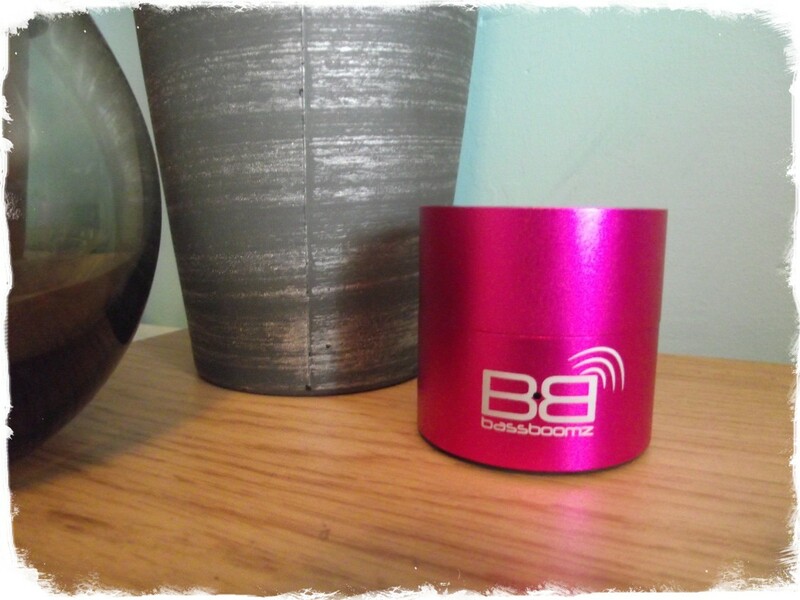 The Bassboomz is a pocket sized powerhouse with desirable aesthetics which just pull at your tech heart strings. Its eye catching physique just screams to be shown off, and with a sound clarity to match this ticks the boxes in every gadget lovers want list. I loved the unexpected 'wow' factor when the bass kicked in.....the size versus the power is ridiculous....is it really coming from that kit?? 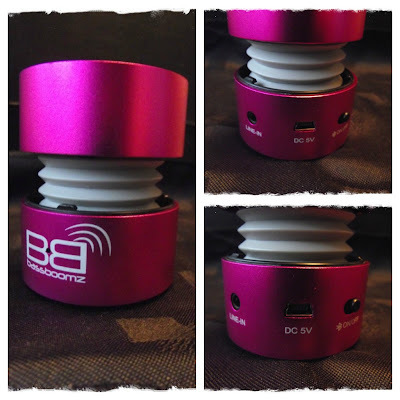 Its simple to use and perfectly portable.....5 star rating easily!! Grab yourself a bargain whilst you can! Literally just what I need! I'm forever on the go and playing music on loudspeak on an iPhone isn't exactly great! I love the sleek design of this one too! Thanks for the discount code! 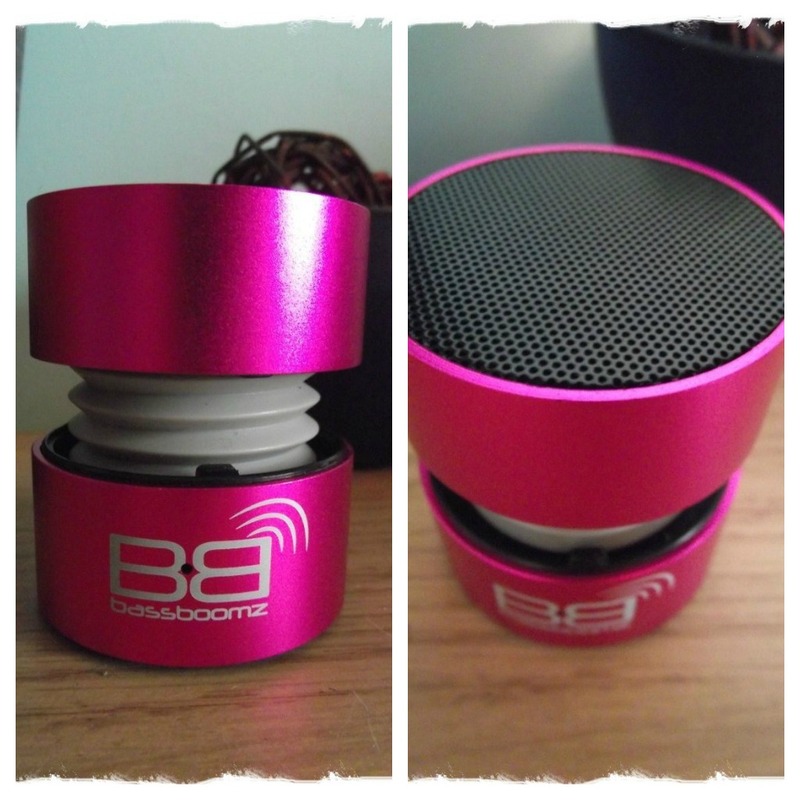 Cute speaker, I adore the colour!